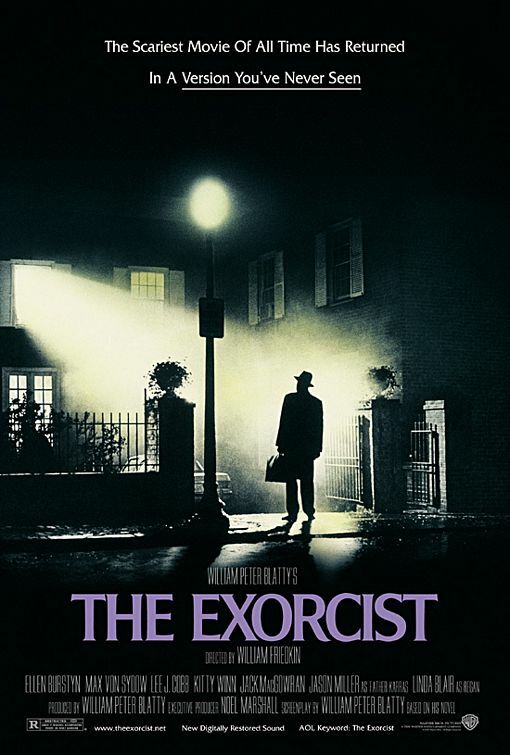 The seminal movie of the “demonic possession’ subgenre is William Friedkin’s 1973 film adaptation of The Exorcist. Like our trip through Connecticut (The Conjuring) in Week 5, the film and its novel are based on true events. In a 1972 New York Times article titled “Everyone’s Reading It, Billy’s Filming It,” Chris Chase reported that Blatty based his novel on the 1949 Washington Post story, “Priest Frees Mt. Rainier Boy Reported Held in Devil’s Grip.” Details are provided in the personal diary of Fr. Raymond Bishop who performed over 30 exorcisms on 13-year-old Roland Doe. Supernatural occurrences noted in the diary included, but were not limited to, distortions in Doe’s voice (1). It has been speculated that Doe’s behavior may have been the result of a Pediatric Autoimmune Neuropsychiatric Disorder Associated with Streptococcal (PANDAS) infection. At Rutgers Robert Wood Johnson Medical School, the first module ‘ titled Necromancy ‘ of our year-long resident Psychopathology course focuses on ghosts (wraiths) and demons. While the former references disorders that are episodic in nature, tales of demonic possession serve to reinforce teaching points of chronic and persistent illnesses such as the Dissociative Disorders (DD). At the completion of the DD block, participants should appreciate that movies about demonic possession may be metaphorically interpreted as case studies of dissociation. For example, the hallmark characteristic of Dissociative Identity Disorder, a disruption of identity, may be described in some cultures as an experience of possession (DSM-5). Another pedagogic lesson of The Exorcist references Holotropic Breathwork (HB). HB combines music with accelerated breathing to reach an “altered state of consciousness” as a form of self-exploration and psychotherapy. In their book (2), the Grofs describe the experience of demonic energy as “a change in facial and vocal expression…their voice is deep and raspy…spastic contractions make their hands look like claws, and their entire body tenses. [They] can muster physical strength.” After an outburst, everything quiets down and there is an eerie silence.